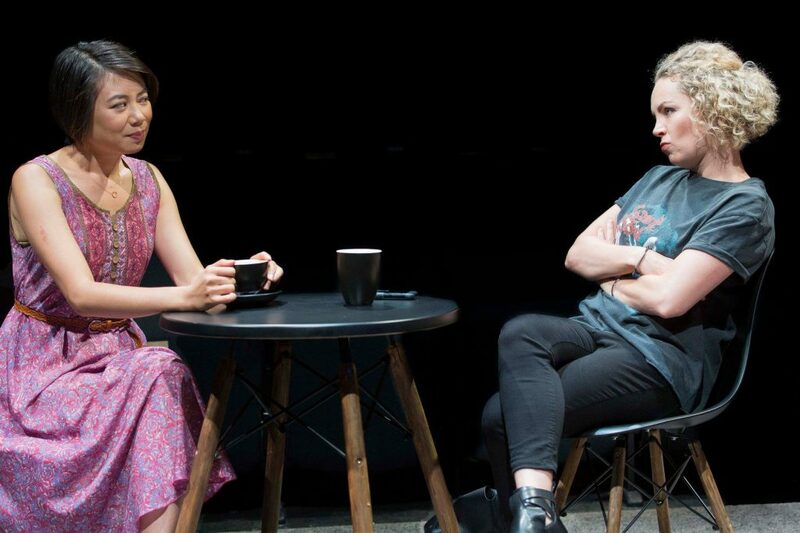 There’s something ironic about seeing a play called The Big Time at the little Ensemble Theatre in Kirribilli – it’s not where you expect Sydney’s big times to be on show. 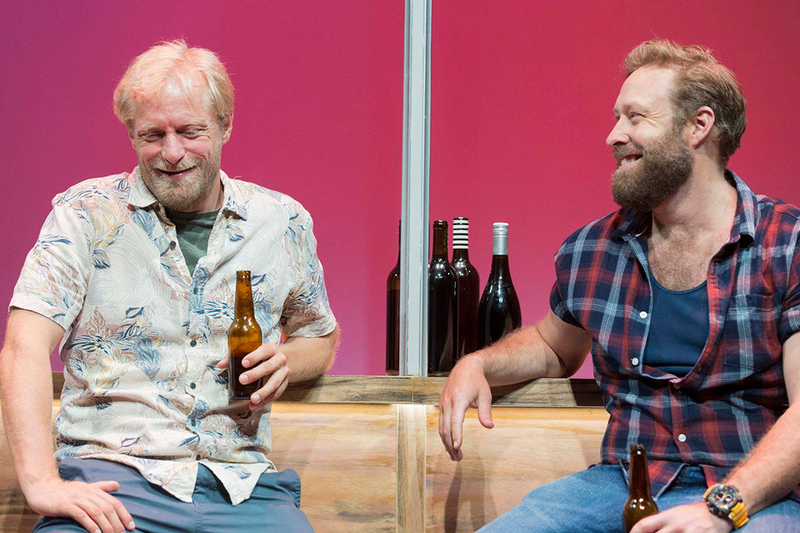 However, David Williamson’s latest offering, his 54th, hits the mark in many ways. It examines the idea of the Big Time for celebrity and the world of show business. Celia is a successful soapie star and her partner Rohan an unsuccessful writer whose big hit was 15 years ago. He is living off her financial success and is not feeling good about it. Her old friend Vicki is a struggling actress, couch surfing when times are tough, and allowing Celia to pick up the tab at their regular coffee catch ups. Vicki is self-righteous about her art and the struggles she has endured which she believes give her the right to success. She resents and belittles Celia’s success and choice of taking easy money in a regular show which doesn’t stretch her strong acting ability. She had been the golden girl of their acting class at NIDA, and Vicki had resented her since Celia won the lead in their final play. Vicki had been given only a bit part – as a maid. Vicki also disparages Celia’s choice of partner who she sees as a sponge, and generally tries to break her confidence.The extremely versatile Zoe Carides plays Nelli, who is the acting agent for both Celia and Vicki, confirms to Celia that she was indeed an extraordinary talent who could, if she chose, win bigger and more challenging roles. 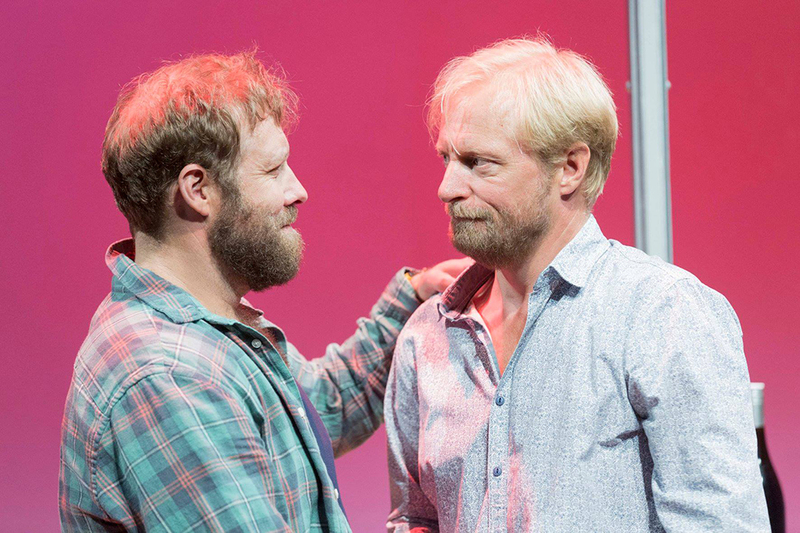 Like many of Williamson’s plays, there is a constant battle of moral and ethical behaviour – a sense of right and wrong that questions the society in which we live. He turns the mirror on us from the start when Celia is connected on her mobile phone to her Facebook friends ignoring her boyfriend right in front of her who is keen to read her his latest pitch. They argue about whether Facebook friends are genuine and would really be there if Celia needed it. She says he doesn’t have friends except for one school friend and so wouldn’t know. It’s a familiar conversation that Williamson might have overheard anywhere, anytime. While Celia and Vicki are at odds over their choices, Rohan and his school friend Rolly (played brilliantly by Ben Wood) are both struggling with their mid-lives. At 40-plus, Rohan feels he may never taste success again and that he is not enough for Celia. While he is wallowing in self pity, Rolly reveals his life is truly a car crash – his wife has left him after a 12 year affair with the real estate agent, he has lost his job, his son is on drugs, and his daughter has been knocked up and abandoned by her boyfriend. On top of it all he needs a triple bypass and his private health cover has run out and the waiting list he is on is long. Despite all this he cares about his friend Rohan, who once rescued him from a flooded river, saving his life. Rolly’s woes are normal and of a practical nature but Rohan’s are more common for the more egocentric artist. In Williamson’s own words: “If you are a struggling writer or actor who hasn’t made the big time – no one reads your scripts, no one asks you to audition or if they do you get to say two or three lines before you’re moved on. Being near the bottom of the ladder is one of the most miserable existences on earth, that’s why the competition to make the Big Time is so fierce”.There is duplicity by actors, agents, producers, and directors and as they audition, cast and work with the talent there are deep resentments, vindictiveness, and jealousies that may affect anyone anytime. This is a world that Williamson knows well; two of his sons are actors, his daughter was an actor’s agent, and his wife a drama teacher and theatre critic. He has been in the industry 50 years himself. He knows all the characters in this drama. Rohan is given a moral dilemma when his friend Rolly tells him about a story he wrote after eavesdropping on two women sitting in front of him on a train. When Rohan reads it he sees it has merit and works on the script to make it saleable and then asks himself – is it worth a split of profits? Is he really obliged to work with Rolly to develop it? Is his talent and expertise worth the full earnings of the developed script? Rohan has one view, Celia has another, and Rolly another still. The audience, as expressed through its collective gasp, also weighed in on this. 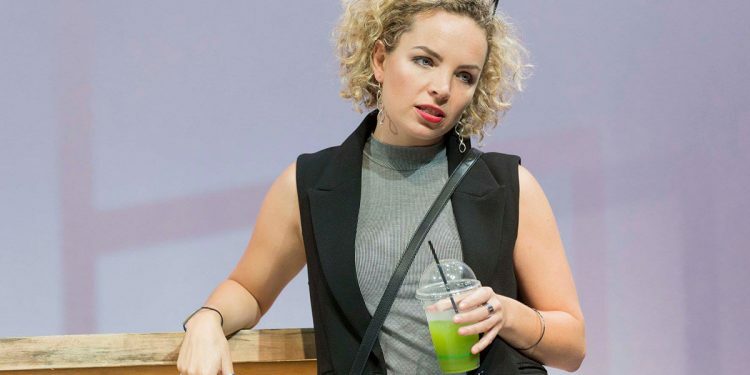 While this story is focused on the entertainment industry, the moral dilemmas are easy to imagine in other industries – the essence of people remains the same.Williamson and his family were in the audience on the night I saw The Big Time and the playwright seemed to be enjoying seeing the cast bring his play to life. Claudia Barrie as Vicki plays a perfect character we love to hate. 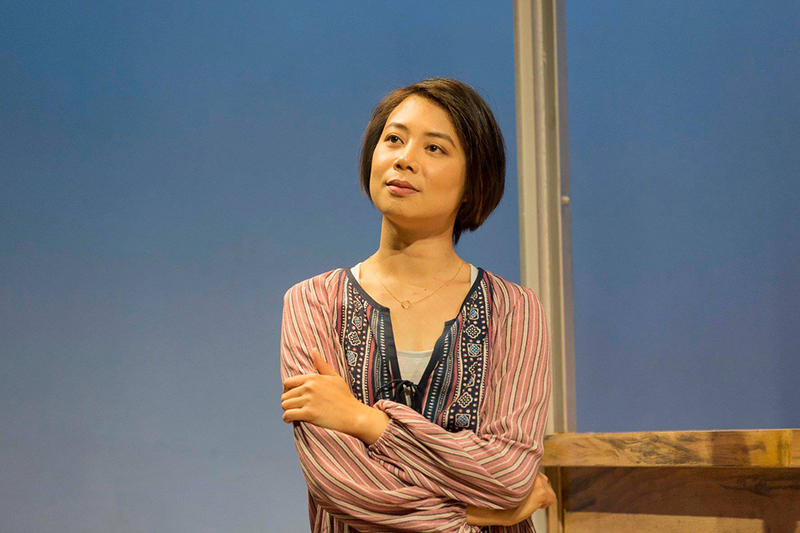 Aileen Huynh is believable as the principled Celia. Jeremy Waters as the unsuccessful Rohan plays his hapless role well although a chemistry between he and Celia is not apparent. The play, in true Williamson style, is lightweight but it’s a perfect capsule of an industry and its players at a particular point in time, and this is what will see his canon continue to grow in value. For anyone who works in showbiz or knows people who do, there will be several familiar types and situations in The Big Time. 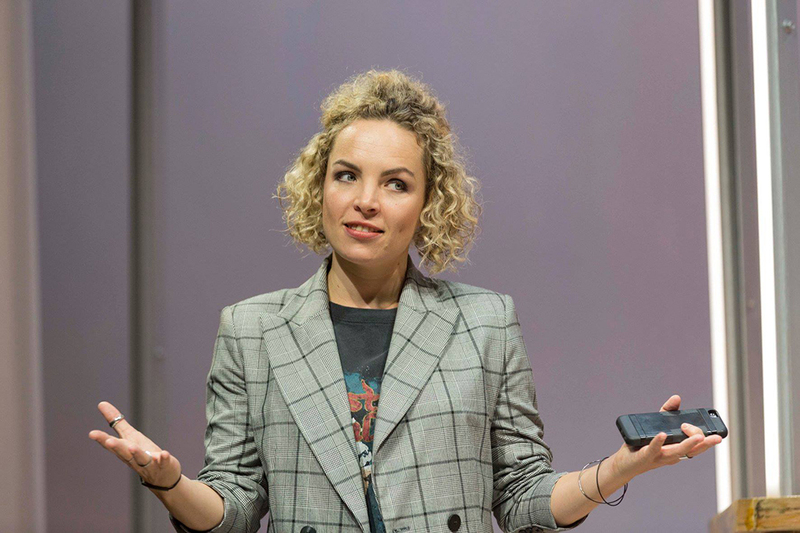 Regardless, the play will appeal to anyone who enjoys a laugh, well sketched characters and a light-hearted look at the absurdities of our time.